Before she started training for her first half marathon in 2013, Kelsey Galiano, a Minneapolis-based SkyWest flight attendant, had never run a race and didn’t really care for running. Even now that she has trained for and run multiple races, including a marathon, there are plenty of days she doesn’t want to run. But Kelsey continues the grind because of the cause that fuels her: helping to provide clean water for people in Africa who don’t have access to it. “There are many days I detest running but I detest people not having something simple like clean water even more,” said Kelsey. Not having access to clean water takes the lives of hundreds of children every day and is the number one preventable cause of death in the world. 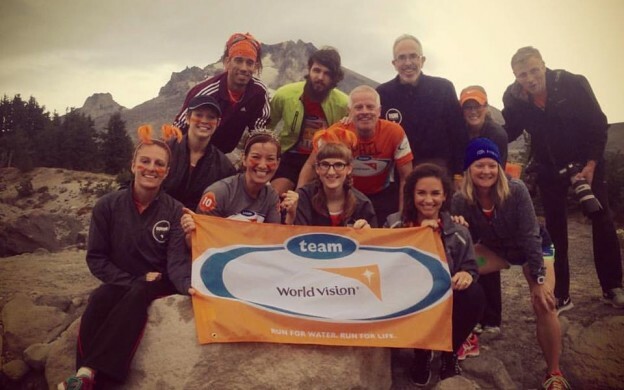 To help, Kelsey joined Team World Vision in 2013 with the goal of bringing clean water to as many people in Africa as possible. Thanks to the efforts of World Vision and people like Kelsey, one new person is receiving clean water every 30 seconds. 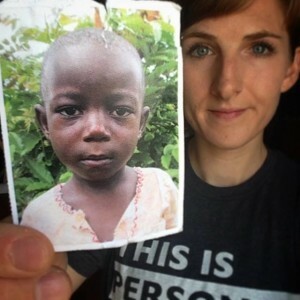 Kelsey’s personal goal is to provide clean water access to as many as 200 children. “I donated to provide clean water for two children and I’m hoping to find 99 others to match my donation,” she said. “Just $50 is enough to provide one child with clean water for life!” And with the global water crisis expected to end in 2030, Kelsey hopes she will only need to run for this cause for 15 more years! 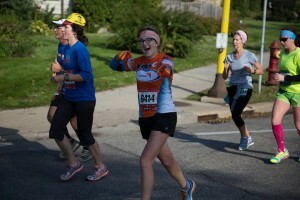 Since joining Team World Vision, Kelsey has run the 2013 Monster Dash Half Marathon in St. Paul, Minnesota, the 2014 and 2015 Minnesota Half Marathon in St. Paul, the 2015 Hood To Coast Relay in Portland and the 2015 Twin Cities Marathon. 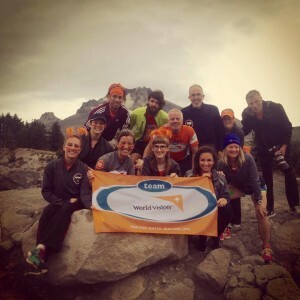 While most of these races were in Minnesota, Team World Vision participates in races all across the U.S.
Kelsey with her World Vision team. Whether it’s helping a co-worker or sending aid around the world, Kelsey’s focus on giving back is one shared by many of SkyWest’s more than 11,000 employees. If you are interested in donating to Kelsey’s team or joining Team World Vision, no matter your location, go to Kelsey’s fundraising page. More information about World Vision can be found at www.worldvision.org.